Do you work for Streak? "Streak is full of features that help us KILL IT in Gmail." I used to use a couple of Streak's features via standalone plugins for Chrome, but none of them did a good job anyway. Streak combines things like email snoozing, snippets, scheduled sending, read receipts, plus an entire pipeline CRM to Gmail all with one simple plugin. As a small business we simply add emails from our website's Contact Form to a Streak Pipeline and we can make notes, and see all emails and contacts involved. The data has been helpful for us, too. For example, how many leads convert, and what's in the Notes of the ones that don't? Very valuable info for us! Since Streak is a Chrome plugin it can sometimes alter the page in a way that appears broken, or breaks other Gmail features. These bugs are tiny, and they come/go with new versions being released. I think this is just a limitation of it being a plugin, though. The 'Split Thread' feature has never worked for me and I think that'd be a handy one. I'd like to see thumbnails in the 'Contents' section for attachments, or just a totally different section / label for a Box's attachments. If you deal with customers primarily by email this is a great tool to keep track of threads as they progress from leads to sales. I used the scheduled sending to make it look like I'm sending emails bright and early in the morning, and then my message is at the top of the receipients inbox in the AM. I use the Snippets feature to copy in information that I found myself retyping to clients during our order process and saving TONS of time. If someone tells me they will follow up, I use the Snooze feature to pop the message back into my inbox if no one has replied. The CRM feature is great, as well. I use it to follow email chains through our order process and the Boxes are helpful for clients who start new email chains on every reply, send attachments separately, multiple chains per order etc. Learning about Streak? We can help. "Finding Streak saved me SOO much time"
Since Streak integrates with Gmail, it makes it incredibly easy to attach email threads into one box. I like how easy it is to insert documents, screenshots into Streak as well. I like the Task feature and its reminder emails that you can opted into when needed. I like how simple and easy it is to send out mail merges since I send out hundreds on a daily basis. I like how through streak, you can send and receive emails too! How long it takes for a mail merge to complete. I have sent a few hundred merges in the past few days and it is set to go out at 7am in the morning but it takes almost the entire day to send out. I don't like how we can't have multiple users on one account. Really great for sending out mass email merges, awesome for setting up sales pipelines, tracking email threads. Our entire business model is on Streak. We track our sales, pipelines, stages, customer service and support issues all on Streak. "Give a total change to your GMAIL and convert it into a CRM." Streak is an ideal tool for all types of companies that want to simplify CRM activities, I love that I can use my own gmail account, and use it in my work, without needing anything else, just install the add-on and you're ready CRM in your email, your cost is also very good, and can be used by any person or company, you can provide customer support in gmail, facilitating communication with people, who want to contact us with your email account, this simplifies a lot of sales and all kinds of support, I love it. The free version does not work, try to try another personal email, which I do not use at work, but I would like to use Streak there too, but it is not the same, it does not have the same features as the paid version, I do not understand why they offer a free version, if it does not work at all, I could not do anything with this application, I do up to a different configuration, in conclusion, I could not use it, like my work, this seemed pretty bad, it's better than Do not offer a free version, and better be clear, and say that you should buy and nothing else. If you want a CRM solution at low cost, and an easy implementation this tool is good, plus it has everything you need a sales and support employee, to provide good service, free version, do not waste time, it does not work. For a company this is an ideal investment, since low cost can have a professional CRM in a free Gmail account, open many costs, and the difficulties of installing a CRM, which can be a desktop software, or in the cloud, here you only need your gmail account, install the add-on pay and order, you can contact your customers, solve support problems and all kinds from gmail. "Thinking out-of-the-box, Turn you Gmail into CRM"
It’s extremely easy to track views for an email sent to your recruiter and manager, send bulk emails for a job profile to multiple companies at a time, schedule emails to be sent to the people at the start of the day so that its the first thing they see when they reach the office. The best feature is creating a very separate but really related email threads for different teams like a sales team, support team, the product team, and the HR. Sometimes when I am using an email powered by Gmail, and sometimes I clear my history, cookies, and cache, the Streak extension crashes. Then I have to run it again. Also if I am using a different computer, on which I have not logged but its attached to my Gmail, I still have to run it again. The Streak CRM plugin is so simple to use with Gmail and other email servicecs that users can easily integrate its tools to their daily routine. Streak doesn’t make a big change or replacement in hte processes. It just works to enhance them and the way things are being done. "Very, VERY good CRM. " When you try to move a lot of boxes at the same time, it freezes, leaving us for around 2 hours without being able to work. We are the very first one users of streak, we started with them since they open up with a full free trial version. They don't have an API key to modify the app for your needs, but still, you have a lot of things that you can do. The customer support is always helping, asking for feedback to improve. Also, you can adapt your pipelines for almost everything you need as a CRM. Love it. Keeping control of all our cases, we handle around 1000 immigration cases per year. So easy to find old cases with a couple of clicks, it's perfect. "Streak = easy, efficient, constantly improving. " Easy way to manage funnels (sales, customer service) - great mail merge features, and all within your gmail inbox. Easy to work with across teams. I wish it was easier to input users - the "add from Google spreadsheet" feature is a bit annoying, but it does work. Just a lot of steps. Try a small project or effort before launching into a big endeavor just to get a feel. It's intuitive, but there are a few steps to set up. It's not cheap, but it is worth the money if you don't already have a good CRM that integrates with your mail. Managing big sales funnels, keeping track of communications with leads and customers, mail merges and outreach. (Partner this with "Canned Responses" - a Google lab feature - and you're really cooking. "Saves us so much time as a team"
I love many things about Streak, however some of the most useful features are that I can see if someone has read my emails, how many times they opened it and the mail merge feature has also saved me a ton of time. I dislike that it is not compatible with similar apps but that is understandable from a technical point of view. I also wish you could attach files to mail merges (at least last time I checked you couldn't). However I find it extremely useful and have not removed it from my email since installing over 2 years ago! I'm using streak to solve efficiency issues with traditional email. I use it to send customised mass emails to lists of people and to keep track of the status of different outreach campaigns both for sales and marketing campaigns, and know the effectiveness of my email outreach by monitoring whether people have viewed my emails. "Really simple, easy to use CRM"
I love the fact that it just lives in my inbox. When I explain it to the team, I call it a sophisticated spreadsheet. The simplicity is what I love. I don't need all the bells and whistles of complicated CRM's... I have been with Streak for 3+ years and am really satisfied. Note, I did say the reason I love it is simplicity. Some things are limited! For example, their mobile app is really not good, I need my team to be able to enter meetings etc. so I can track what they are up to on the road, and if they have android there are alot of limitations. Also the reporting is somewhat limited. If you are looking for something that allows you to live in your Gmail, that is simple and effective, Streak is your best bet. I truly love it and so does the team. I would love to see streak implement email filtering so emails are automatically added to boxes that would help immensely. I have an older sales guy who gets the system, so if that helps you make a decision great! You can use Zapier to link alot of actions so that it automatically syncs. But I wish some of the integrations were just native. Simple deal tracking, and management over my sales team. I love the reports I do get and if you spend some time you can really customize the program to do projections etc. "A simple and good CRM for your Gmail/Gsuite"
Streak CRM is a good service that is completely integrated to your Gmail/Gsuite interface. So, if you work with your e-mail on all the time, Streak can be a great way for start using a CRM in your workflow. The free version of Streak is great and has many features. Streak CRM does not have more complex CRM features, so it might not be a good fit for heavy needs. For me, the bigger downside is that it lacks a more intuitive and complete way to manage your contacts inside the CRM and its funnels. Streak is a great tool. The free version has many features, so it worths the shot for analyzing how well it wil fit in your workflow. If you have heavy CRM needs, maybe its better to look somewhere else. I use Streak as a control CRM for business e-mail conversations. I also use its great plugin features like "Send Later", "E-mail Tracking" and "E-mail Snippets". "Incredibly robust add on for gmail"
I love that streak is built into gmail, so you don't have to browse to a new webpage to use its features. It adds productivity to emails, such as send later and snooze, and has the ability to create a to-do list right inside of gmail. Again - the best feature is not having to leave gmail. Every once in a while, it doesn't load properly on my district server. It says "page can not be found" or "page timed out." I know this is a district problem, but I would love if Streak helped come up with a solution for business to whitelist its application. If you are a person who uses email a lot, enjoys staying within gmail, and wants to continue using a product that increases your productivity, you've come to the right place! Streak is definitely one of those products that is helpful in ways that I didn't even know it would be helpful. I would recommend starting off with the free version, as I have done, and continue using it to see if you need the full paid version. Working in a school, I'm using my email constantly. It has helped me maintain and track what parents I have talked to, when I talked to them, what's still needing to be communicated, and helps me know when to follow up again. Streak helps me keep it all in check in 1 central place - gmail. 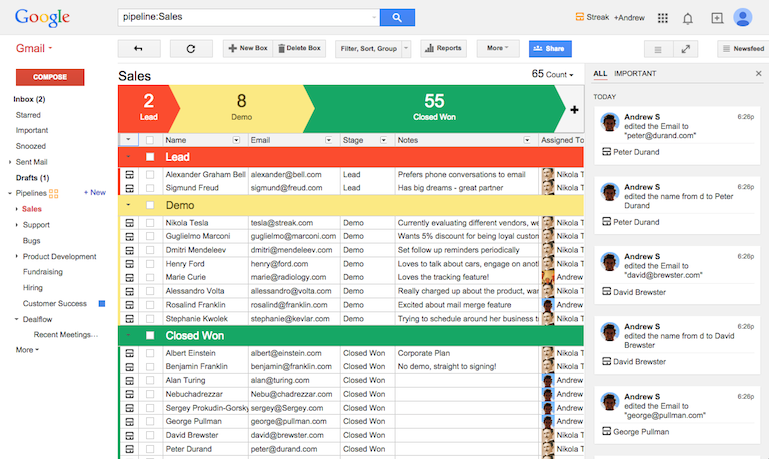 "Simple Gmail Add-in to Manage a Sales Pipeline"
Streak is an add-in to Gmail. As a professional who is already using Gmail for their core email, it is great to have this readily accessible. The ability to automatically track and add emails to the pipeline could be helpful to some users. It also has an iPhone app to keep up to date with summary level information when away from your computer. Streak also can create all sorts of visual reports and graphics. It does not have the most robust set of features to track opportunities. I wish you could add some sort of probability weighting to each step in the sales funnel and have it import information more easily from other systems, such as email marketing like MailChimp. This seems like a great solution if your needs are simple. Not having many users and needing the level of tracking from a salesforce.com is one of Streak's greatest qualities. Before Streak, I was tracking opportunities via spreadhseet. It is inconvenient to be switching back and forth between email and spreadsheets to keep an important file like a sale pipeline up to date. "Useful for all processes, not just CRM"
Having Streak integrated directly in the inbox lends itself well to being able to use it for all sorts of processes. For example, I've used it for event signups, keeping track of research interviews, and as a more traditional CRM. It's also great to see them continually push new features and updates as often as they do - always adding value, but hardly ever removing features. For us, it's really about keeping processes in check. We are currently using it for a alpha-user pipeline and it's incredibly useful to keep everyone on the team on the same page. I love that I didn't have to really learn a new platform since w already use Gmail. Some of the updates aren't intuitive but I'll get used to it. Take the time to learn it and use their support - they're great. I built my entire B2B business model on it, and I'll never go back. We use it to reach out to cold leads and then take them through a pipeline until they say yes, no, or later and always know when to follow up. This has made being a solo-preneur much easier and the system is easy enough to create quick training videos, plus they provide them as well. I recommend Streak to anyone with a product, coaches, personal trainers, real estate agents, multi level marketing / network marketing agents, etc. From there, the people who have ordered are in their own phase so we can send them specialized promos. It's a fail-proof system and we now have 17k leads total, over 10% of which have expressed interest. We'll then sell them other products and expand our business. All super exciting stuff! I really can't say enough good things! I should also add that we doubled our revenue from last year and have barely had to spend time on the phones. This email system is where it's at. I'm obsessed with Streak - absolutely love it! I truly don't know what I'd do without it for my B2B sales. "Amazing CRM That Finally Makes CRM Useful"
The best part about Streak is that it integrates into Gmail. I'm already living in Gmail most of the day, so this goes right with my workflow. It's very simple to get started and you can learn more features as you become proficient. Plus, you don't have a ridiculously short period to put it through it's paces. It's free, Gmail is free, it's the perfect way to learn it. I've told a lot of people they should be using Streak, and the thing that makes it so amazing is also the thing that keeps some of them from using it...they don't use Gmail. If you're looking for a great CRM that thinks like you do instead of expecting you to do business the way they want you to, take a look at Streak. It's easy to try them since it's free software. You've really got nothing to lose! Also, if you're into automation, Streak works with Zapier! I use Streak mainly for lead generation and moving a prospect through the funnel to becoming a client. I'm more organized with Streak and it makes sure nothing falls through the cracks. I'm consulting with another client who is getting set up with Streak to manage their customer service. "Easy CRM Plug-In for Gmail"
Streak makes it easy to quickly organize all of my leads within Gmail, so it's easy to navigate and integrated with my email easily. We can have different pipelines for different projects and it's simple for my manager to check in on the status of a project or remind me to follow up with a partner. Streak can also create follow up tasks for specific leads, which is a helpful too. There should be a way to duplicate boxes! It's a pretty manual process to make copies of boxes for re-engaging previous partners and sometimes moving columns while viewing your pipeline can be glitchy. It's a new product, so I expect there to be tech fixes along the way as the product becomes more finessed. It's a cheaper CRM solution for our team than Salesforce and it allows us to organize our Gmail inboxes in a shared and easily visualized way. It makes keeping up with email simpler because of the different views you can make. It's a deceptively powerful tool. "Simple features, simple to use"
I like that Streak allows me to send emails that are personalized to each recipient without me needing to write separate emails per person for do awkward copy/pasting. Streak is not great for large email campaigns, as it's still restricted by the number of emails that your ESP will allow you to send (for Gmail, it's 500 at a time). There's also a paywall to access some of the more advanced features, which is understandable, but it'd still be cool to access some of them without having to pay. Before I'd discovered Streak, I'd send emails individually by copying and pasting or I'd Bcc many people at a time, but Google ended up locking me out of my account for suspicious/bot activity for pasting the same content and using the same attachments for so many emails. Allows me to easily track relationships with the rest of my team, especially tracking progress with prospective applicants for our programs. I also appreciate the email tracking functionality that tells me whether a recipient has opened an email directly from my inbox (and when and where and how many times). Determine what functionalities are most important for you when working with a CRM tool. One thing I love about Streak is that it allows me to easily mail merge from any of the lists in my inbox, easily transfer "boxes" to different "pipelines" and collaborate with my team members. "Great, easy to use and intuitive "
The organization of different pipelines, the stages and reporting features. Tasking makes it easy to organize a call list and keep up with following up for prospects. Our deal pipeline is awesome because all of the emails are automatically stored into their 'box'. There have been a ton of updates recently (like the reporting feature) that has caused us to ditch all of our other prospecting software in favor of this one. No way to call straight from the platform that works with my mobile device. There's a way to call straight from the platform to my phone - I can call from my Chromebook. Transparency between business units, the ability to assign tasks and delegate responsibilities. I would recommend this to a friend for their business. Seamlessly works with my gmail account so I can avoid unnecessary work. Also works within my email account so I don’t have to start a new software. Can’t be used with certain other products (such as hub spot). It doesn’t have a ton of features but I like that it keeps things light but still has a lot of power. Not an app that can do everything, but whatnot it attempts to do it does well. And it is not too complicated to learn. "My leeds think i'm connected osmisis! " The one thing I'm not a fan of is the fact that if I have more than one person in one email the tool does not let me know which receiver specifically has read my email. Mail merge is hands down my favorite feature, but view read emails is also an incredibly useful tool. The text shortcuts don't always work, which can be a little annoying. Such a useful tool - and I'm sure I'm only scratching the surface with the features I use! I'm finding out about new features and tools every time I use it. I only recently found out about text shortcuts and it's fully replaced my use of "canned responses" in gmail. Personalizing emails to multiple clients quickly & efficiently, and checking to see who's actually reading our emails. I've been able to tailor emails and have seen more opens & responses as a result. "A fantastic, light-weight CRM solution"
if you're looking for simple, easy-to-use CRM software with seamless integration with Gmail, this is the perfect solution for you. In our application of our sales process at Lapp Structures, we were looking for CRM software for our growing retail business. As the decision-maker on this rollout, I had two main priorities for our software. First was finding a software that integrated seamlessly with Gmail, as we use Google Apps for our email, calendar, and other uses. Also, with varying technical ability among our sales staff, this software needed to be extremely easy-to-use. In my research, software with deep functionality (which we did not need in our use case) often brought with it a difficult-to-use user interface. With Streak, it is extremely easy to create a new "box" for a new sales lead, to add information and emails to the box, and follow it through the process with tasks and reminders. We could not be happier! I love it because we normally send mass email and with this application, I don't need to send it one by one I'll just have to upload it via .csv and I can send mass email already. Nothing much that I don't like about this it's just that it may take time to send all the emails but overall the application is very helpful. It is very useful and highly recommended for recruit especially when sending outreach emails. I found streak as a very helpful tool especially in sending mass emails which is essential to those working in recruitment when sending their outreach. "Perfectly integrated in my daily workflow, that's why it works..."
I was never a fan of sales supporting tools. They always asked me to change my way of working, adopt my behaviour to theirs. Not with Streak. Their tool sits in my Gmail as a sidebar and allows me to use it as part of my normal behaviour with a minimal amount of efforts. Create a box, add basic details, add a reminder and send. If you are a gmail user and the main reason why you do not use a solution is because you have found all solutions to be too restrictive, take a look at Streak. It adapts to your flow as it is right there were you need in. Next to your email, easy to use and not in your way when you don't need it. For our small consulting business, the usual prospect phase spreads multiple months. Having a tool like Streak helps to have a better understanding on that process and deal (pun intended) with the different leads with ease. "Excellent CRM for a Small Team"
I can easily manage my own custom sales pipeline. While it's nowhere near a full-fledged CRM, it fulfills the basic functions extremely well, right inside my Gmail and I have yet to think of a complaint. The price point is free for my small team (which is just me). It assists in my workflow enough to make me more efficient, but without getting in my way or bogging me down with unnecessary features. My only dislike is the fact that I'm on the free version, while there are additional features in the pro version. For me personally, it works best because more features means more time off the phone and on the computer micro-managing my process. If you are a one-man sales team, or very small, Streak is great. While it lacks some of the heavier features of big CRMs, it handles the basic tasks well and lets you get your work done without getting in your way. My sales pipeline has gotten extremely efficient. I know where potential clients are at all times and sales no longer slip through the cracks unless it's my own fault for not using the software. A huge benefit is the fact that it's built into Gmail, which I use on a daily basis regardless. "Streak Helps Me Keep on Top of My Follow Ups"
I love that with Streak, I am able to see when somebody read an email I have sent them and that it gives me automated reminders to follow up when I do not hear back in a certain amount of time. In my sales role where I am contacting about 80 people per day, it is very helpful to know when people are reading my emails (or not), so I know if I need to follow up a different way, and as said before, I enjoy that it gives me automated reminders to follow up with clients when we have not spoken in about 5 days. There is nothing I have come across at this point that is unlikable about Streak. It is a good organization tool and is helpful in a sales role where I need to keep up with speaking with people. As said above, Streak helps solve any forgetfulness or organizational skills. I love being able to see when someone last opened my email, the last time they viewed it, and the reminders of when it has been 5 days since I have heard a reply. "Streak CRM is perfect for working "inside" of Gmail and G-Suite email"
There are SEVERAL FEATURES in Streak that I really like. : 1) Doing CRM right "inside" of my Gmail and G-Suite email accounts, 2) Easy creation of my own PIPELINE views of contacts with "Box" view and Mass Mail Merge with error detection that allows me to remove problem contacts for nice error-free sends. and 3) view tracking that tells me when and how many times recepient is viewing and opening my send. Nice! Streak has been late to market with its mobile phone version still in beta.. Also it si not easy to search contact record in desktop version,. Should be a "no-brainer" but they overlooked including a search engine. Its there in mobile beta, but not in desktop. Increasingly, the more I use it and keep discovering new things about Streak, my life managing communications with people and opportunities keeps getting better and better. "Best and Most Affordable CRM yet"
Easy to use. Integrates with Gmail platform. Visually organized. Sending emails through the mail merge platform is the best! I wish it had more integrations with Zapier. I also wish that I could call and speak to a live person. If you do not have a CRM system in place, then this is a easy way to get started. If you are currently using another CRM, then it is definitely worth taking a trial to STREAK. It has a easy to learn UI and platform that everyone on my team has been excited to learn. Hiring. Customer Care. We solve the who owns what in our business flow. The ability to mass email our customers at various stages of the flow process is extremely helpful! "Great for keeping track of business development emails"
I love how it is right there in the inbox and emails can be marked or categorized on demand. It can be customized and tweaked to fit your workflow perfectly. I love to change the titles of the labels and create a completely unique flow that is suited beautifully for my visual process. Even the email tracker is pretty awesome because it helps you know when to follow up on an email. I also appreciate that there are so many fields to accommodate any kind of project or business. I dislike that it doesn't integrate with more apps like IFFT and Zapier. I love automating anything I can and it would be great to find new ways to have it partner with my other favorite apps. Just try it because you'll probably get hooked if you aren't paying for another fancy CRM software. I solve the organizational problem of knowing exactly when to follow up on an outreach email because I can see the stage it is in. I'm super visual so this helps me really understand my workload too. I have now used it for the following projects: keeping track of wholesale emails out to potential customers, to remember where I am in the process with potential employees when searching for a full time job, and as a visual time line for my very first freelance clients. "Simple and Nimble - Great for all Sales & Marketing initiatives"
I like that you can use with your Gmail and send mass emails and also have customizations within the email. I can track that someone has read my email; what time and location if available. I can create several projects and use it to track all of them easily as I can customize colors and add several stages. I also love that you can connect emails to a box (company or contact) and easily see everything in one place and all the communication and notes. Our team can use it to be prepared for the next meeting. You can also assign tasks and reminders for yourself. I find the reporting section a bit complicated. There are no simple pre-prepared reports that helps me to analyze the projects and the boxes performance. If I sent a group email I cannot see in a report format, how many times the email was opened and read or interacted with. Better reporting capabilities; possibly adding better email sending and tracking capabilities; also thinking about providing email templates for customization. Better communication between my management and our team. Also being able to use my email and enhance a lot of the small and big things but still be personable from my own gmail account. I can think more critically about my emails and also our projects as I see the whole picture right then and there. Also it helps my manager to see the work I am doing and it helps us communicate better about the effort and results. "How Streak helps me manage my emails!" Honestly, the thing I like best about Streak is that I can see when someone has opened an email! But other features are pretty cool too. I use the free version which has a pipeline CRM feature. It helps to be able to build my pipeline directly from my email account. Being able to share your pipeline is helpful as well. Well, the tool serves its purpose for me. So I can't really complain about anything, I just wish the "email read" feature was more accurate. 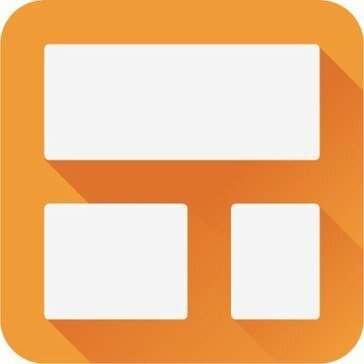 Evaluate if Streak really has every feature you need. 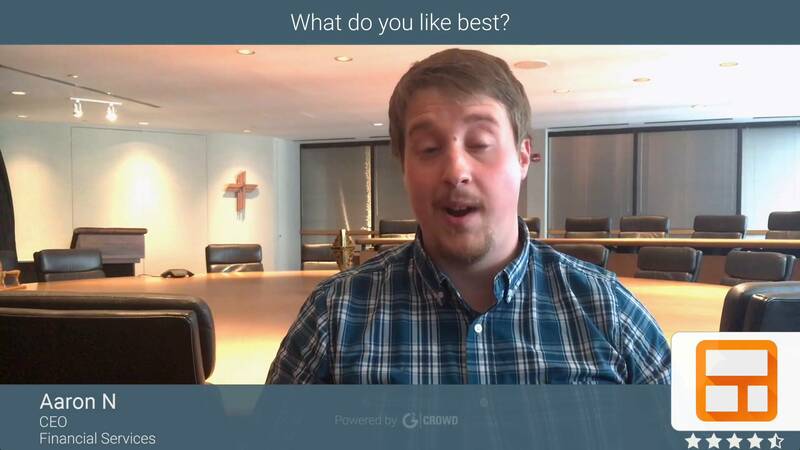 I work with ads in digital menus, so Streak helps me build a sales pipeline with prospects and clients. "Great way to track email view for free"
Being able to see where, when and how many times an email was viewed. There were certain emails where I was not able to track whether or not it was opened, where it was opened, and how many times. But that also could be because the prospect I was emailing had a block on their end. If you're in sales and you aren't currently tracking views on your emails, you should download it. You have no reason not to, it's free. It has helped me to gauge interest for all of my leads. If I send over a white paper, and see that it has been view 20-30 times, in multiple locations, I know there is interest there. It's a good way to start a call. - we might be at the point where we've outgrown it, but it's been a great first CRM for our company. - overall, would recommend! their team is lovely to work with as well. Streak helps me tame my email! I can add multiple emails to one "box" or "pipeline" and add notes that are accessible across all the applicable emails. Helps me keep info organized especially when one topic is having information from multiple emails! I also like how I can Send Later, and Snooze emails for reminders. I honestly can't think of any dislikes for Streak. Have a plan in mind when you set up the different "boxes" and "pipelines." "Simple To Use CRM Add-On"
Streak is an easy-to-apply tool for professionals in every industry--not just marketing or communications! I do wish there were more detailed tracking features in the "VIew" pane that included the time of email opening. Try it out. It is a free extension that is easy to add to any inbox--if you don't enjoy it, just uninstall. Streak helps me optimize email communication with my team members. bloggers, and program participants, as I am able to see when they are most likely to open an email, and how many times it is opened. It also helps me organize my inbox into pipelines of correspondence depending on the subject. "amazing product + amazing price"
I can't say enough good things about the streak system and the customer support behind it. It is a seamless integration with gmail. It is completely customizable and allows us to utilize the tool however we need to. The ease of adding information into the system is impressive! Some categories allow for keyboard shortcuts and others do not. I would prefer the feature be available across all categories to make for a seamless user experience. Definitely try it out. I have been so impressed with my entire interactions with streak. The actual product is easy to use, affordable and backed by wonderful customer support. They are constantly refining and improving the product. New features are a regular addition as well. We've been utilizing Streak to manage our pipeline of applicants. "Excellent CRM for Google Apps / Gmail users"
There's not a lot to dislike. Although, as not-for-profit, it's on the pricier end. It's definitely worth trialling. We were surprised at how quickly we could add customer information and how easily it integrated into our workflow. Efficient management of potential and current customer interactions and contact management. Helps us to effectively track customer relationships and progress. "Decent CRM, Great Email Tools"
I like the option to send an email at a later time. The email tracking works fairly well as well, but my favorite feature is the "snooze email" feature. Very handy. Because it is fully integrated into Gmail, you can work from one application instead of using additional computer resources to run multiple programs. In addition, all email correspondence relating to a specific client will be summarized in one place. The CRM side of Streak is powerful and flexible, but for my particular application it wasn't necessary. Check out the CRM - it nicely integrates with gmail. For me, the real benefit of this software is in the email options - "snooze" and "send later". This extension allows me to snooze important emails for a pertinent time. It also lets me schedule emails to send on a certain date at a certain time. These two features have helped me reach more prospects without extra effort.